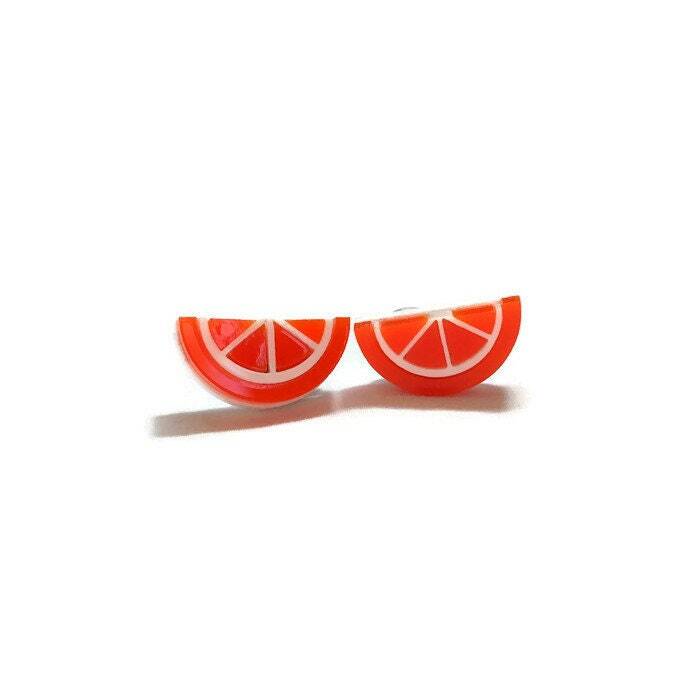 These fun and fruity orange slice earrings are made of lightweight acrylic. Made from layers of orange and white laser cut acrylic and hand assembled. 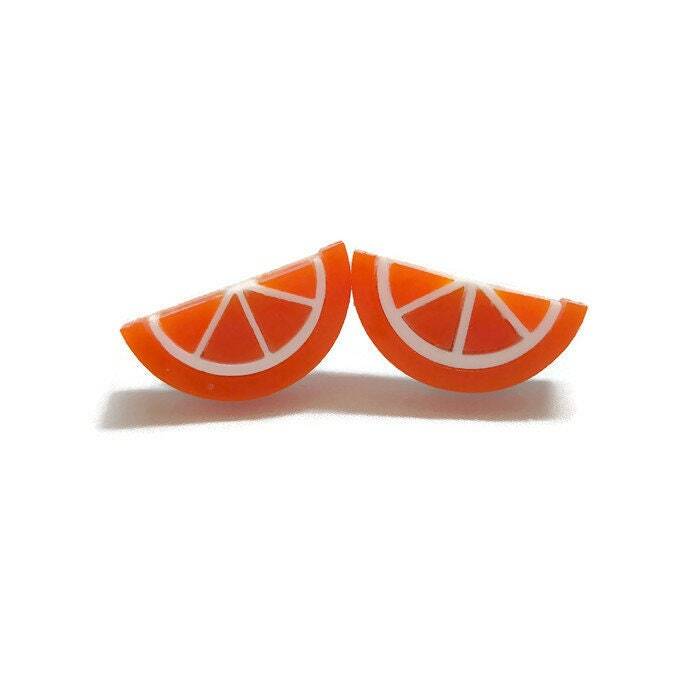 The orange slice measures 25 mm long and 13 mm wide and is backed with hypoallergenic nickel free earring posts for sensitive ears. 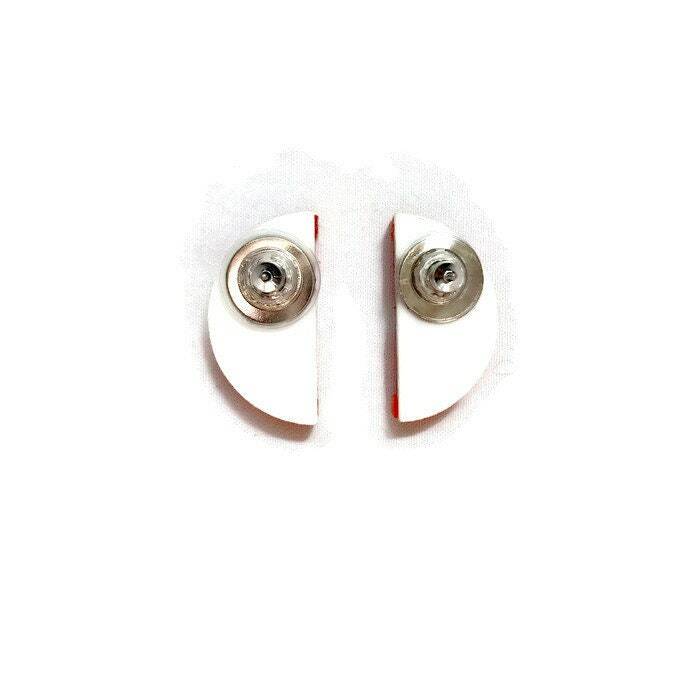 These earrings come with earring stabilizing backs for comfort and to keep the earrings snug to your ear.